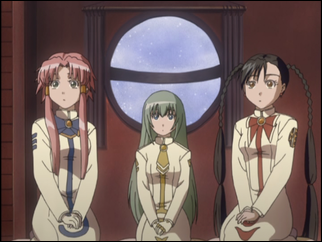 If Aria: The Animation were a novel, it would be difficult to fit in an interlude with the pasts of Alicia, Akira, and Athena. It would disrupt the flow of the story. The same goal as it pertains to the current Singles could be reached without flashing back in time. It’s funny how a series such as this can take something that would be unnecessary, out-of-place, excessive in a novel, and turn the whole conception upside-down into a worthwhile inclusion. 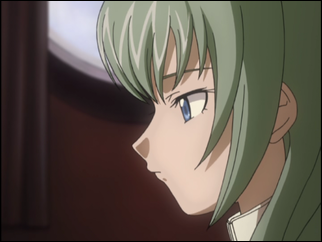 A lot of animated series (and manga, I’m sure) will put time into a flashback episode. In the second series of Janggeum’s Dream, it’s shown Suro and Jeong-ho came to meet and train as soldiers. The first series had no room for this, instead having dialogue here and there hinting about their past. The Tower of Druaga has an episode looking into Ahmey’s past, but it really does nothing for the series, other than try to infodump information on things which have no relevance to the story at present. The flashbacks in A Little Snow Fairy Sugar are extremely brief, revealing bits and pieces of one single event from Saga’s past, which ties strongly in with the story by the end. 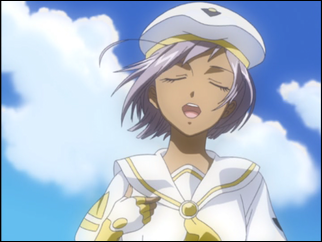 With Aria: The Animation, the story is about three Undine Singles, not about the Great Fairies who were Undines before them. However, looking into the bonding and friendships of the youths of yesterday gives an insight into what likely will become of the youths of today. Not just for the cast of Aria: The Animation, but for everyone, everywhere. This is simply the event where it becomes clear to Alice, to Aika, and to Akari. Were this a novel, looking at the Single days of the Great Fairies would have to exist as references scattered about, building up until Akari and her friends realize, “Hey, this’ll happen to us one day, too…” From there, it would certainly work its way into the girls realizing that they are much like the Great Fairies once were, that they really do have a chance to be Great Fairies one day. Of course, looking at Athena, it’s a wonder not everyone is a Great Fairy by now. 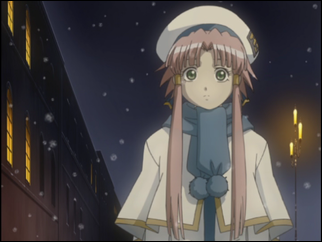 Final thought: Wide-eyed Alicia when Athena first starts singing and longing Akari standing in the snow near the episode’s end. Both very cute. Did you notice that, when Athena is practicing her tour guide spiel in the flashback, she says the Marco Polo museum is on her left … and when Alice was tracing the same course, in an earlier episode, she said the museum was on her right? 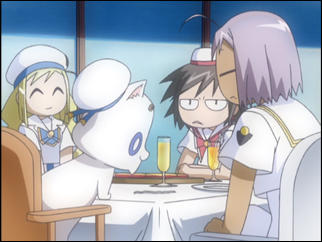 Given Alice’s problems with understanding people and social situations, I’m amazed that she chose to become an undine, a trade that absolutely requires dealing with the public, with a deft and skillful hand. Athena’s difficulty as a Single, dropping into brown studies when close attention to the world was needed, isn’t really that much like Alice’s, and it doesn’t touch the core of what an undine does. Alice’s difficulty does. She could master the geography and history of Neo-Venezia, and the art of singing canzone, as well as she has already mastered the oar; but none of those matter as much as the quiet courtesy Athena had even as a Single, which for Alice is as a foreign tongue. Her singing earned Athena her opportunity with the Orange Company; what makes her a Great Water Fairy, though, is being an excellent “left hand”. Thinking a bit on Alice, she must really be something with an oar for her to be as popular as she is. I wonder if Orange Company doesn’t maybe go out of its way to get her into magazines, perhaps pointing out a combo of her skill and younger age as something people should be reading about.